As always, September brings a crispness to the air, and the kids and teachers are back at school. For our teachers, June, Katy and Laura, only June is back to work as Katy and Laura still have time on their maternity leaves (woohoo!!!). We’ve jumped full force into the season of sweaters & scarves, pumpkin spiced lattés and, you guessed it, Christmas! What?!? Yes, Christmas music is reverberating from our houses, our cars, down the aisles of our local supermarkets. 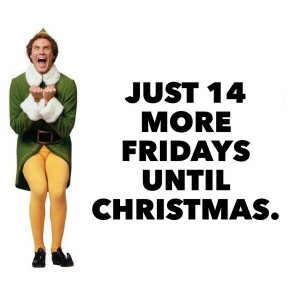 We’re Christmas CRAZY and although it is STILL a few months away, we think you should be too! September also means that Sweet Scarlet is getting Seriously Serious about Singing Seasonal Songs (see what we did there?)! We’re working hard each week, learning as fast as Christmas elves. We get excited to come together each week to infuse what we’ve learned with a little sparkle of Christmas magic. This last rehearsal was no exception…there was practically glitter all over the living room floor by the time we were done! Finally, September brings another Sweet Scarlet gig for your calendar! We will be performing at the Richmond Night Market at 7:30 on Sunday, September 27th. Yes, it’s still open! It’s hard to pass up freshly squeezed lemonade, assorted meats on sticks, and Rotato Potato, let alone adding a Sweet Scarlet show to the mix. You won’t want to miss it! Perhaps you would like a selfie-on-a-stick pic taken with Sweet Scarlet? Done! Can’t wait to see you there!